K-Lite Codec Pack 7.0.0 Full. Another Giveaway â€“ MooSoft The Cleaner 2012 1 Year License Key. Avira Premium Security Suite Free License Code For 90 Days. via Game Fire â€“ PC games accelerator. With the announcement of new iPhone 4 at WWDC 2010, Apple has also released “Safari 5” which is the latest and new version of its browser. Safari 5 carries new features and powerful tools to help users and developers enhance their browsing experience. Safari 5 can be downloaded free for Mac and Windows. 1. Safari Reader.Safari Reader removes annoying ads and other visual distractions from online articles. So you get the whole story and nothing but the story. It works like this: As you browse the web, Safari detects if you’re on a web page with an article. Click the Reader icon in the Smart Address Field, and the article appears instantly in one continuous, clutter-free view. 2. HTML5Web standards are the future of the Internet. The world’s most innovative browser, Safari continues to lead the way in support for HTML5. Safari 5 supports over a dozen new HTML5 features that allow developers to create interactive content and media experiences that work right in the browser — without the need for third-party plug-ins. 3. Faster Nitro EngineThe world’s fastest web browser gets an engine upgrade. Enhancements to the Nitro Engine in Safari 5 mean you experience web browsing at greater speeds than before. 4. Bing Search Safari gives you even more search options with built-in Bing search, in addition to Google and Yahoo! Search. Just choose Bing in the Smart Search Field, start typing, and get search suggestions that help you find what you’re looking for fast. 5. DNS prefetching and improved caching. Behind the scenes, Safari employs a technique called Domain Name System (DNS) prefetching. If you’re on a web page with links, Safari finds the links and looks up the addresses. Click one of the links, and Safari quickly loads the web page for you. And improved page caching means more of the pages you viewed in the past load faster than before. 6. Safari Developer Program Customize Safari with extensions you create using web standards. ZoneAlarm Free Firewall is the best and powerful easy-to-use, free firewall available. 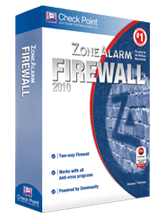 ZoneAlarm Free Firewall 2010 is recently launched which you can download for Free and use it with your Antivirus for enhanced system security and protection from hacking attacks. ZoneAlarm Free can barricade your PC with complete and immediate port blocking. And, then runs in Stealth Mode to make your PC invisible on the Internet – if you can`t be seen, you can`t be attacked. ZoneAlarm offers a new phishing toolbar like Norton’s Safe Web and 96% fewer alerts than previous ZoneAlarm versions. * DefenseNet – Leverages real-time threat data from community of millions of users to detect and block the latest attacks. * Inbound Firewall Protection – Stops hackers and other intrusions by making your PC invisible online. * Outbound Firewall Protection – Blocks spyware, botnets, and other malware from sending your personal data out to the Internet. * Quiet and Automatic – Runs in the background, un-noticed and out of the way, with rare alerts. * Anti-phishing and Site Check – Toolbar blocks fraudulent websites including those that trick you into entering personal data. 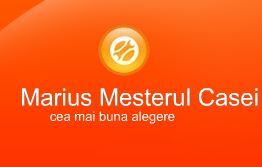 * Identity Guard – Provides credit scores and recovery services to secure your identity online and offline. * Works with all Antivirus – Compatible with antivirus, such as AVG and Norton Antivirus. 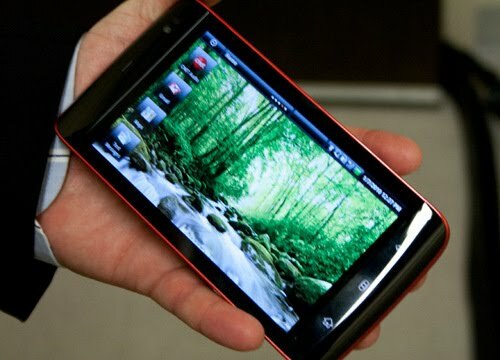 The Dell Streak, previously known as Dell Mini 5 is coming soon, the Mini Tablet coming to the U.S. in this July. Dell says that the Streak will be available in the U.S for $500 unlocked, through Dell.com, sometime in early July. It was originally thought that it would cost upwards of $1000, so this is a great price for a high-end device. This news came frome the D8 conference , as Dell’s Ronald G. Garriques was on hand with a demonstration of the new tablet. 2:33 pm: Ron Garriques takes the stage to showcase the Dell Streak, a five-inch Wi-Fi, 3G, Bluetooth mini-tablet. He first shows a video from a projector via a dock that ships with the device. 2:35 pm: Kara asks the size question. Garriques answers that the device has to be large enough to experience the Internet, but small enough to fit in your top pocket. He says he has given up the phone entirely in favor of his Streak. 2:36 pm: Garriques says that the five-inch screen is 100 percent larger than the average smartphone screen. 2:37 pm: Kara asks what Dell is calling it. Garriques says he doesn’t call it a phone or tablet. Walt asks about the age range for target customers. Garriques’ reply: Nine to 94. 2:40 pm: The Streak will appear in the U.S. toward the end of July and cost about $500 at Dell.com, unlocked. Garriques says you can store hundreds of movies on the device, but won’t give a hard answer on storage numbers. He mentions that it has both a back- and front-facing camera.